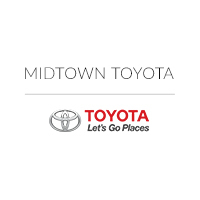 When you are looking for a new sedan, there is no better place to come to than Midtown Toyota. Not only do we have a large selection of new Toyota cars right here on our lot, but they are also popular vehicles that have proven the test of time. Our customers come back to our Toyota dealership near Oak Lawn, IL time and time again because they know the quality they will be receiving from each of the cars on our lot. One of the most popular models for many years now is the Toyota Camry, and we would love to tell you all about it. The 2017 Toyota Camry is a midsize sedan available in four trim levels: LE, SE, XSE, and XLE. All models are powered by a 2.5-liter four-cylinder engine that puts out 178 hp and 170 lb-ft of torque. This is paired with a six-speed automatic transmission and front-wheel drive. The top two trim levels also offer a 3.5-liter V6 engine that delivers 268 hp and 248 lb-ft of torque. As for the features, the LE starts you off with items like a rearview camera, Bluetooth connectivity, Siri Eyes Free, and a 6.1-inch Entune touchscreen electronics interface. The SE bumps you up to features such as cloth and synthetic leather upholstery, a sport-themed exterior styling, and 17-inch alloy wheels. The XSE then adds in heated front seats, dual-zone automatic climate control with rear vents, and a 10-speaker JBL premium sound system to bring in more comfort and luxury. Finally, the XLE adds in items like full leather upholstery and 17-inch alloy wheels. This Toyota car does not lack in the safety department either. In government crash testing, it received five out of five stars for overall crash protection and side-impact protection. It also got the top score of “Good” from the Insurance Institute for Highway Safety with its moderate-overlap, small-overlap, side-impact, roof-strength, and head restraint tests. In addition to these ratings, you will see that the models have many standard and optional safety features. The XSE and XLE can add in a blind-spot warning system paired with a rear cross-traffic alert system so you are aware of items you may not see. In the Technology package, you will get a lane departure warning system and a forward collision mitigation system that will warn the driver if a collision is imminent and apply the brakes if necessary. As you can see, the Toyota Camry has a lot to offer, and we’ve only told you just a little about it. We invite you to come in to hear the rest at our Chicago Toyota dealership, located at 2700 N Cicero Avenue. Our team would gladly arrange for you to take this model out for a test drive while you are here to see if you love the Toyota Camry as much as we do. Also, just so you have a full understanding off all your options, we would be happy to show off our other new and pre-owned Toyota cars for you to compare it to at your Chicagoland Toyota dealership.